Diesel fuels produced today have low quality additive packages added to meet minimum EPA refinement standards. These fuels, when refined, test to “minimum spec” but by the time they transfer through multiple tanks and to final distribution, are usually out of “minimum spec”. For most businesses and individuals, vehicles are expensive investments that are depended upon for day to day operations. The output and return on your investment starts with the fuel you put in it, so why settle for “minimum” quality fuel. X4 is a premium diesel fuel additive designed to bring every tank of fuel put in your vehicles up to premium quality. 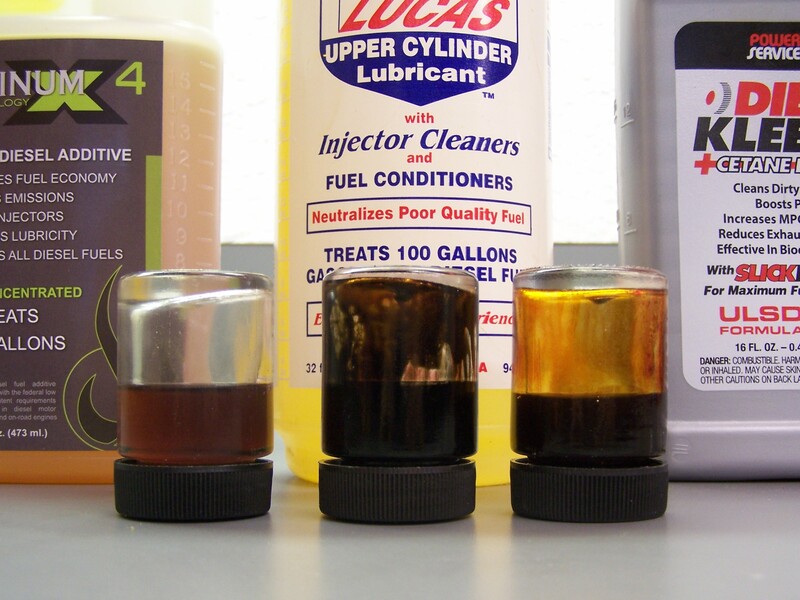 Just adding a “tune-up in a bottle” every time you change your oil doesn’t cut it. A quality additive should always be in your fuel and never cost you a dime. X4 increases fuel efficiency enough to pay for itself, and come maintenance time, increases your engine component longevity, improving your bottom line. X4 is an ultra-concentrated diesel fuel catalyst which creates more complete fuel combustion reducing wasted fuel and excessive emissions. X4 is the only diesel fuel additive on the market to contain 100% active ingredients that sufficiently improves fuel lubricity and stability, while dispersing water out of fuel and cleaning engines from the inside out. Superior diesel fuel quality significantly improves engine longevity and fuel efficiency while reducing harmful emissions. Poor cetane levels decrease fuel detonation levels resulting in reduced fuel energy and efficiency, and increase smoke and carbon deposits inside your engine. X4 High Performance is the same formula as X4 with the boosting performance of cetane. The high performance formula raises cetane up to 6 numbers improving throttle response, acceleration and fuel efficiency up to 20%. Severe hydrotreating of ULSD reduces cetane content leaving fuel refineries to introduce minimum quality cetane improving additives to fuel, but significantly falls short of EFA cetane content recommendations. X4 High Performance increases cetane content so diesel fuel detonates in your engine the way OEM’s designed it to for maximum efficiency. Keeping the inside of your engine clean starts with the fuel you burn. Poor fuel quality damages injector nozzles resulting in poor fuel atomization and detonation, leaving unburned fuel and excess carbon deposits in combustion chambers. Continuous carbon overload ends up in engine oil reducing the life of oil by up to 50%. X4 contains powerful detergents that actually clean injector nozzles and removes excess carbon deposits in combustion chambers for complete fuel combustion increasing engine longevity and MPG. In a Cummins L10 injector clean-up test X4 showed an average injector deposit reduction of 20%. Water is the main enemy of diesel fuel. Water in diesel fuel creates an environment for microbial growth and causes gums to form in fuel, not to mention wears on fuel systems, particularly injector nozzles. X4 disperses free and dissolved water from fuel to be removed by water traps and prevents stable emulsions. In an ASTM D 1094 Water Tolerance test emulsion time was reduce from 9 minutes of untreated fuel, to 1 minute of fuel treated with X4. ULSD (Ultra Low Sulfur Diesel) is hydro-treated to reduce the sulfur content to under 15ppm. 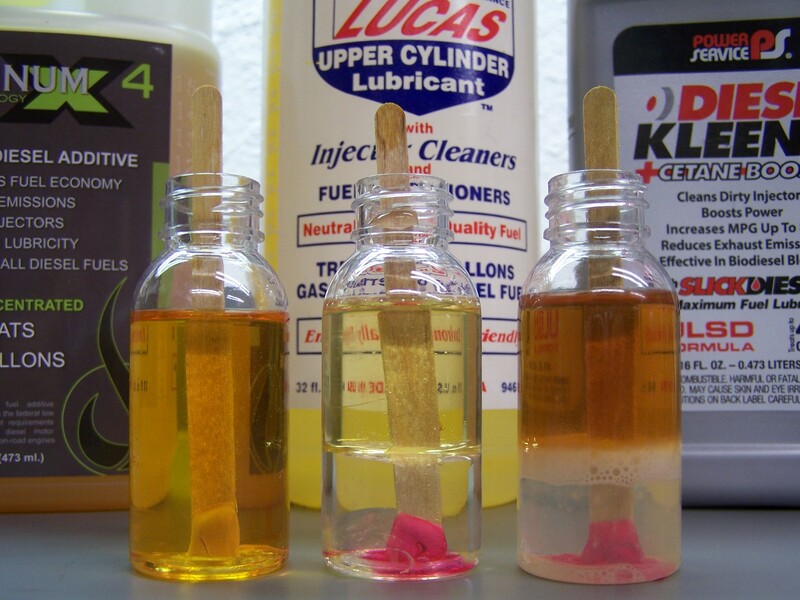 Sulfur is the main lubricant in diesel fuel to reduce fuel system wear and help keep cylinders lubricated during combustion. X4 restores lubricity to fuel exceeding EPA and OEM standards. X4 improved diesel fuel lubricity 35% in the military BOCLE test and 39% in the ASTM D 6079 HFFR test. ULSD is refined to meet minimum EPA standards and by the time it reaches vehicle tanks, after multiple bulk tank transfers, it falls below those standards resulting in an unstable fuel. Due to over-processing to meet EPA standards ULSD has a much higher oxidation rate than diesel fuel of the past. In an ASTM D 2274 stability test X4 increased fuel stability 78%. Corrosion was reduced to zero from the 65% of untreated fuel in a NACE Rust test. In a burn test against leading competitors X4 burns completely clean emitting zero soot and leaving zero carbon residue. In an acid detergency test X4 effortlessly dissolves gums and varnishes leaving zero hydrocarbon sludge in the jar. X4 totally disperses dissolved and free water in diesel storage and saddle tanks eliminating microbial growth environments.